Gorgeous mustaches? Check. Beautiful beards? Check. Caring donations to cancer patients? Check. “No Shave November” is an event held every November to raise awareness for cancer. This month, men are encouraged to not put so much effort into grooming and use that saved money to donate to cancer research and education. 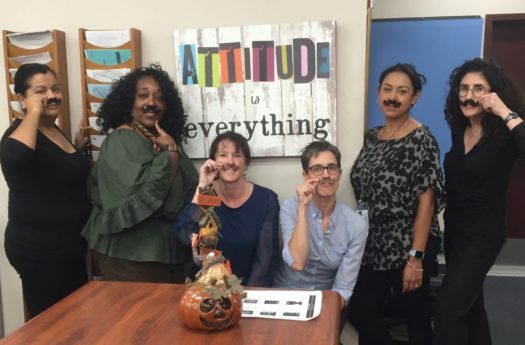 CCUSD staff members are participating through the form of a mustache growing contest held by the district, with categories including “best creativity with a real mustache” and “best attempt at growth.” The CCUSD campaign also includes awareness to men’s health issues. This is important as breast cancer, a disease typically associated with women’s health, received $60 million more in donations than prostate cancer, and ovarian cancer $64 million more than testicular cancer. The staff members who participate are encouraged to donate their saved money and the money they raise to Movember, which helps to fund research for prostate cancer and testicular cancer, as well as aid in mental health and suicide prevention. There are also other separate platforms with similar goals such as No Shave November and Novembeard. No Shave November uses the money raised to spread awareness and donate to the Prevent Cancer Foundation, Fight Colorectal Cancer, and St. Jude Children’s Research Hospital. Novembeard is one of the more localized foundations, donating the money raised by participants in central Ohio to Nationwide Children’s Hospital. While it is harder for high school students to participate, as many boys don’t have the capacity to grow a fully fledged beard yet, students can still donate to others’ efforts to help cancer patients across the nation.